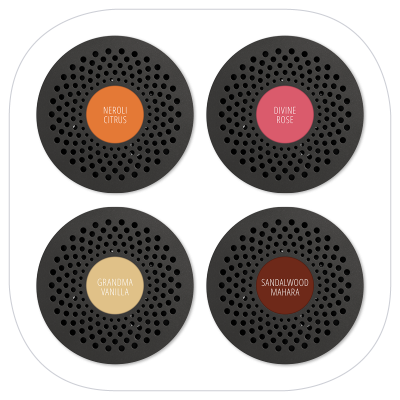 Families are scent capsules organized into four-packs, each was curated by leading French perfumers. 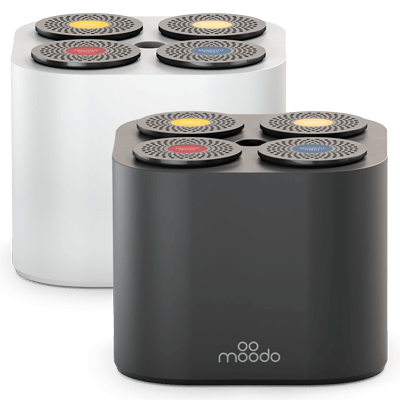 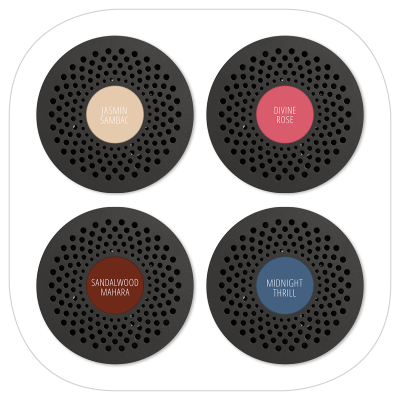 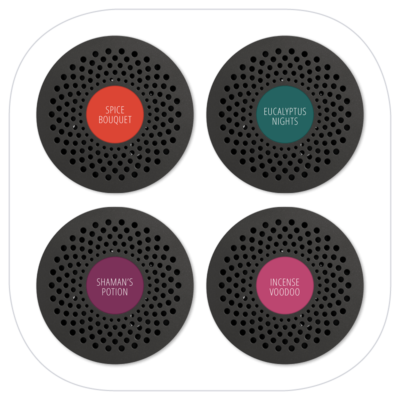 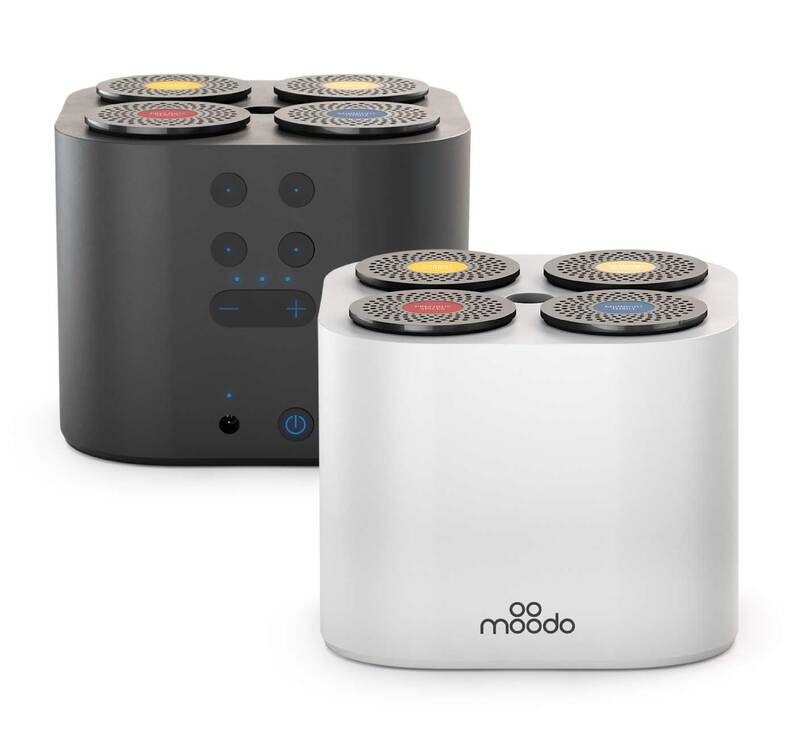 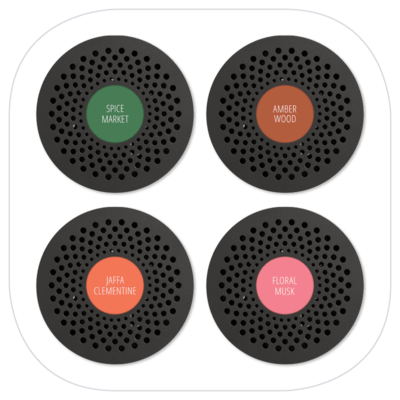 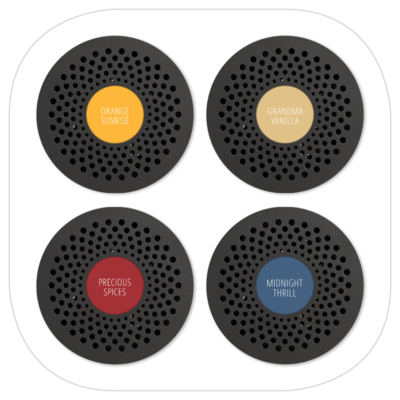 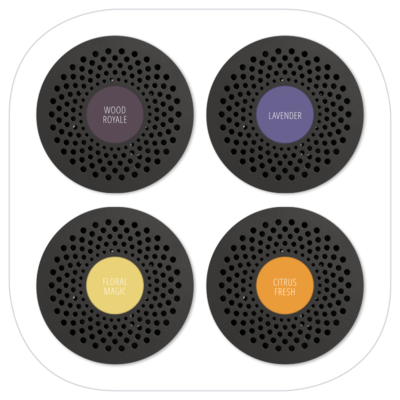 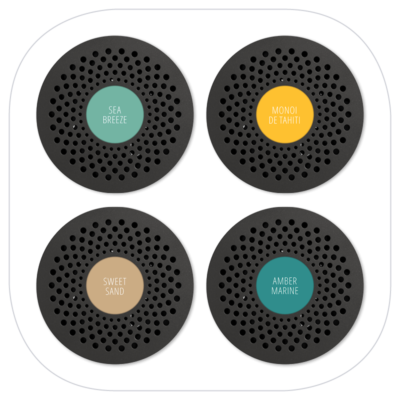 The Moodo smartphone app recognizes which scent family is in the device at a given time, and suggests preset scent mixes. 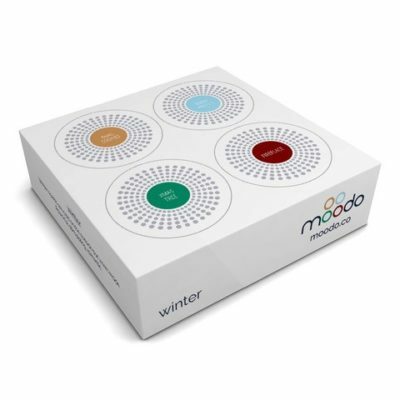 Choose from 20 Moodo base single scent capsules, which can be mixed with each other at any proportion, creating hundreds of thousands of possible scent varieties to explore and save.